From Legacy Family Tree – what I call my vanilla version – works fine in MS Internet Explorer, Firefox & Chrome. From RootsMagic – works fine in Firefox & Chrome but not in my version MS Internet Explorer. Then I have a limited number of entries from my main program – Legacy Family Tree – in Heritage Family Tree Builder on my desktop but also on My Heritage web site. I had been to a MyHeritage presentation some years ago and was quite impressed – especially at the number of Aussies on the web site! I decided to update records in one branch of my family, concentrate on getting them accurate and properly sourced, and upload to MyHeritage web site. I confess to not checking the Smart Matches for a while – concentrating on my Library Diploma last year – but I got back to it late last week. In the past I have contacted other tree owners showing my family but nothing to write home about – either they had just copied heaps of people who were extremely distantly related, or they didn’t reply. Last week I focused on one tree that seemed to have definitive information on my German SCHUBART branch [the photo above is of my ggg-grandfather Franz Wilhelm SCHUBART]. I had successfully found a couple of generations in Germany complete with copies of original church records and documents so I was a little excited to find more than what I had found in the past. Second – the wife of the tree’s owner is a DIRECT descendant of my German SCHUBART’s! Not only have I had one reply – we’re now up to a couple and I’m confident of more to come. 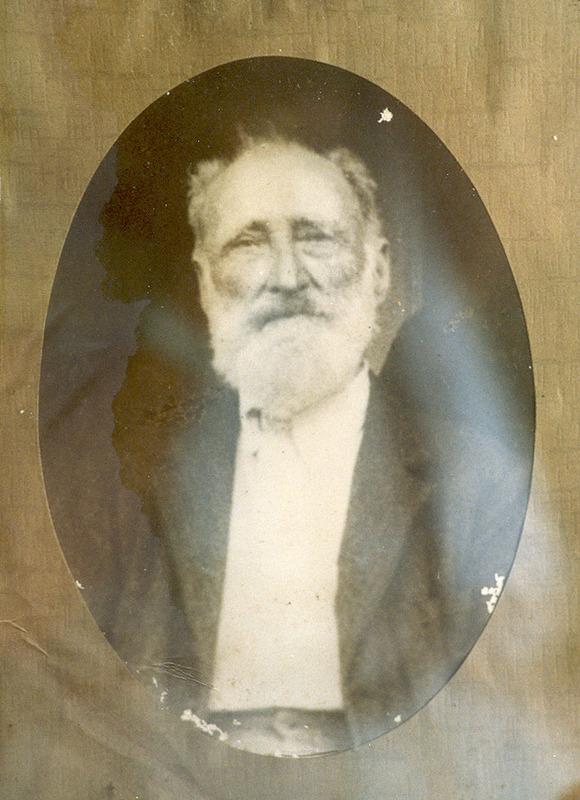 Franz Wilhelm SCHUBART, known as Wilhelm, is one of my “ancestors’ arrivals” having arrived in New South Wales from Hamburg in 1852. I’ve only been researching since 1965 but concentrating on my German branch in the last few years. I’ve made some great progress and with my newfound cousins – however distant – it looks like there will be more.